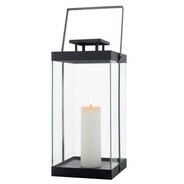 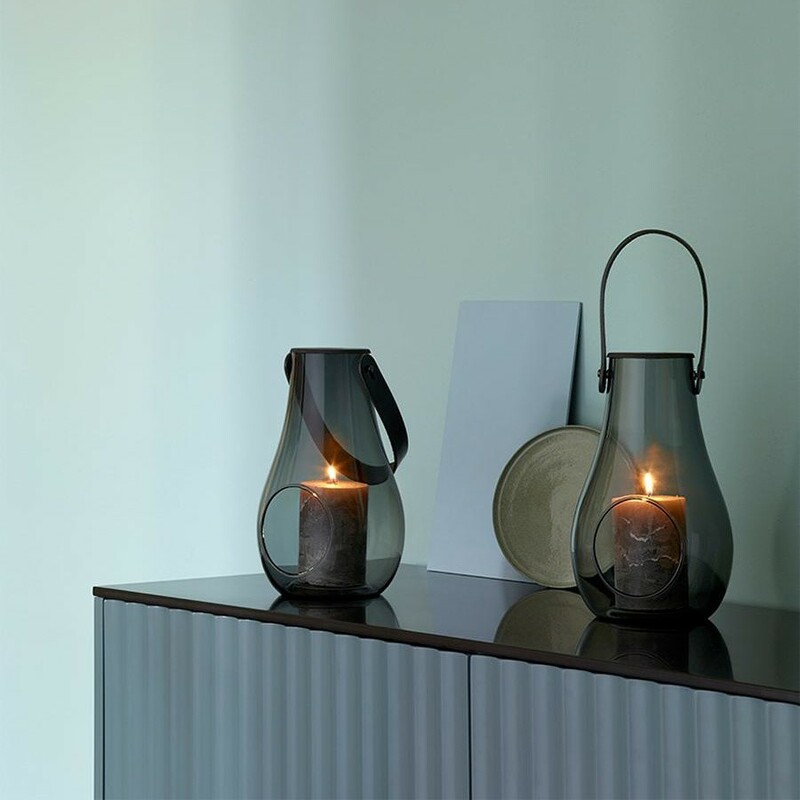 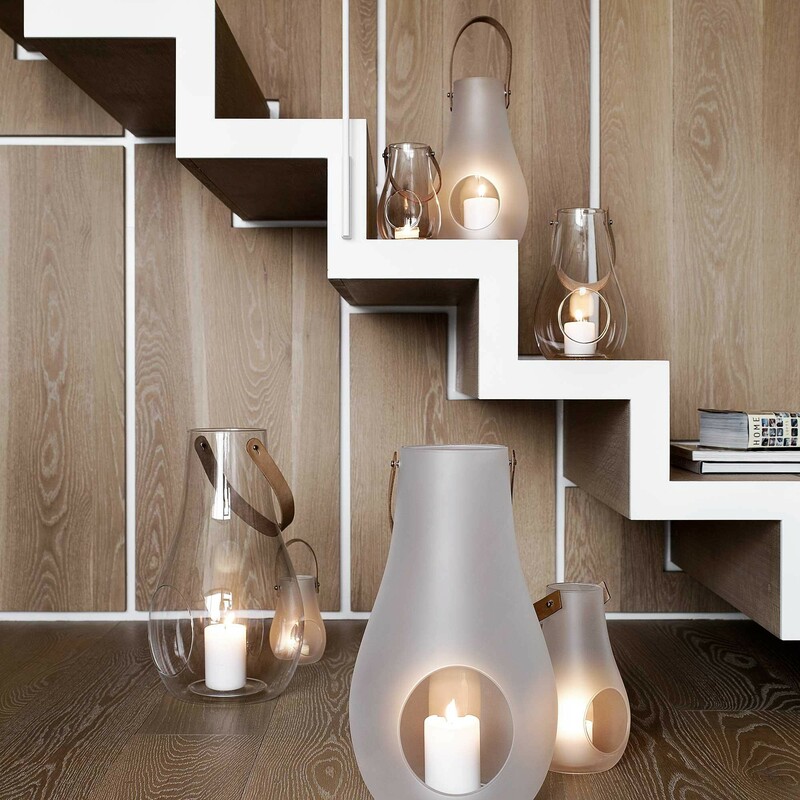 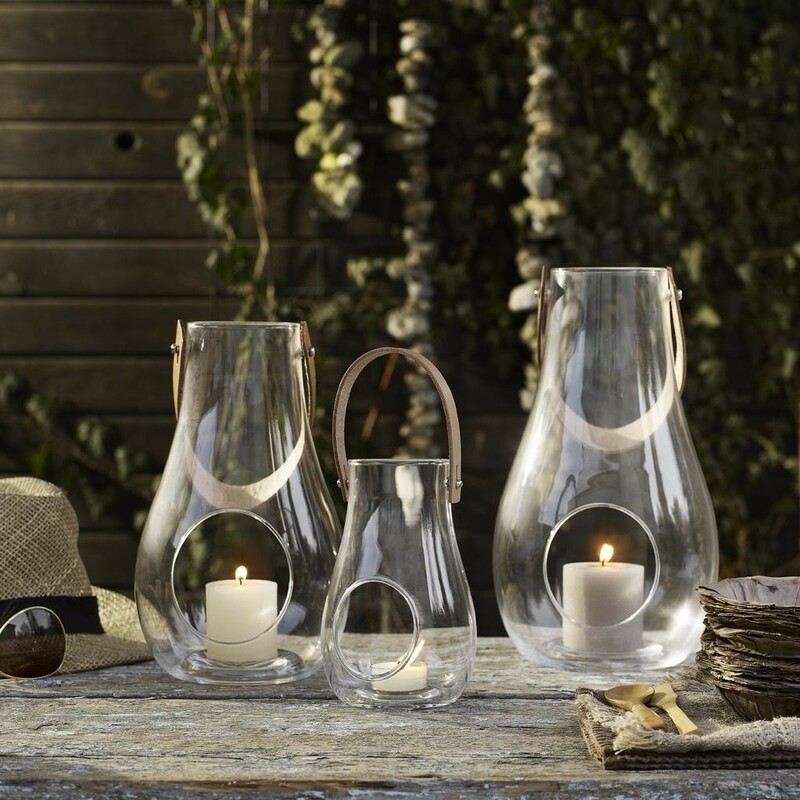 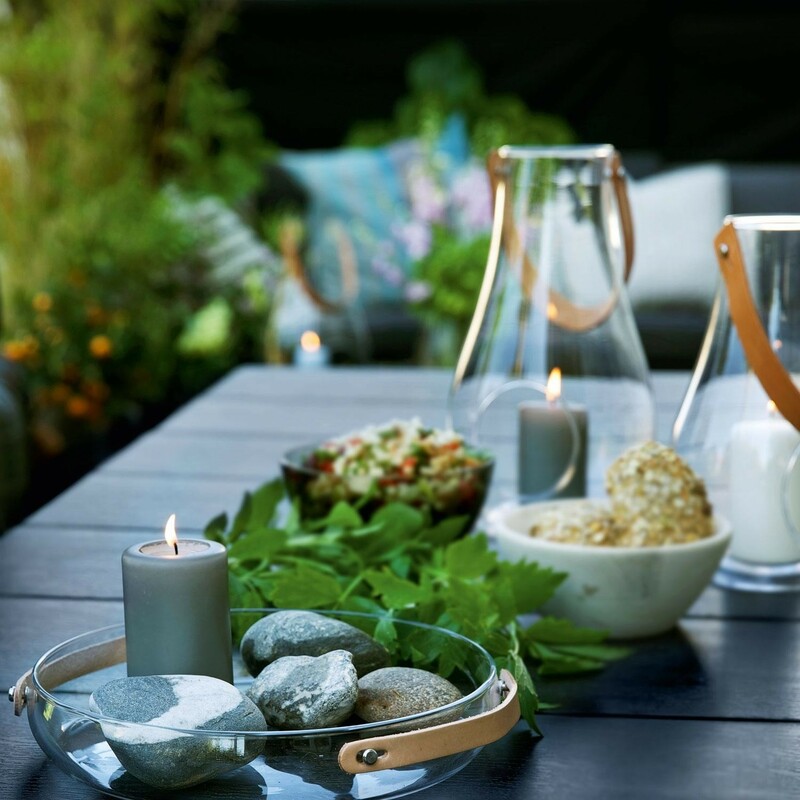 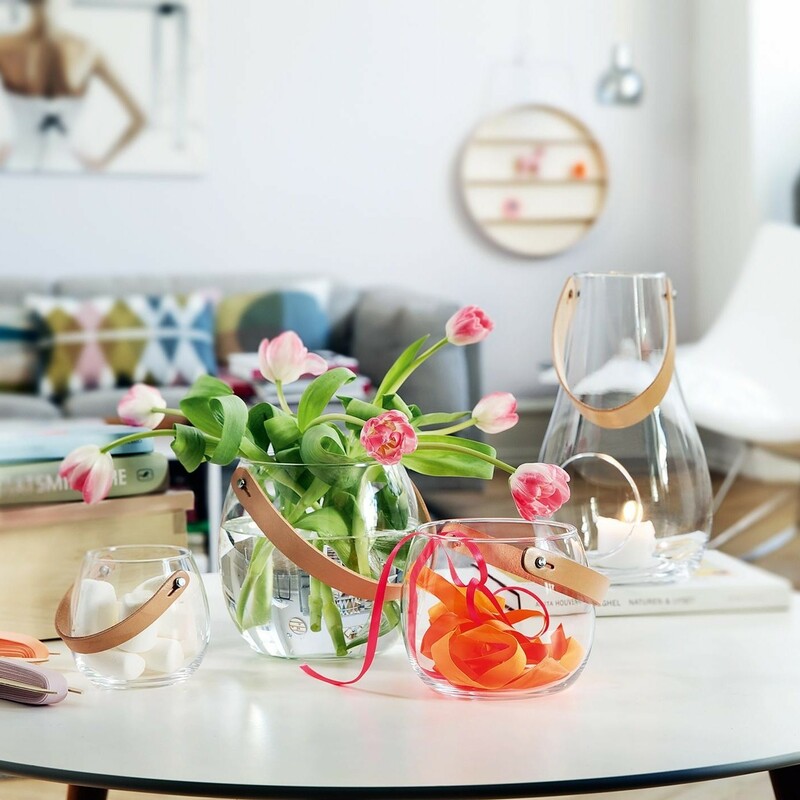 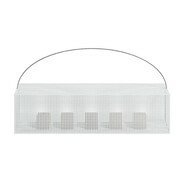 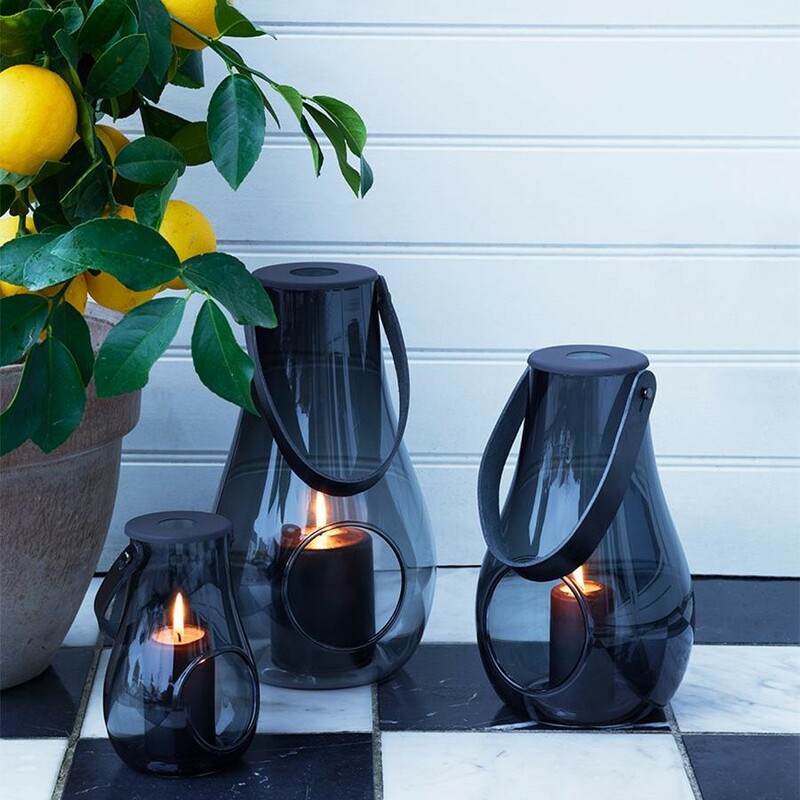 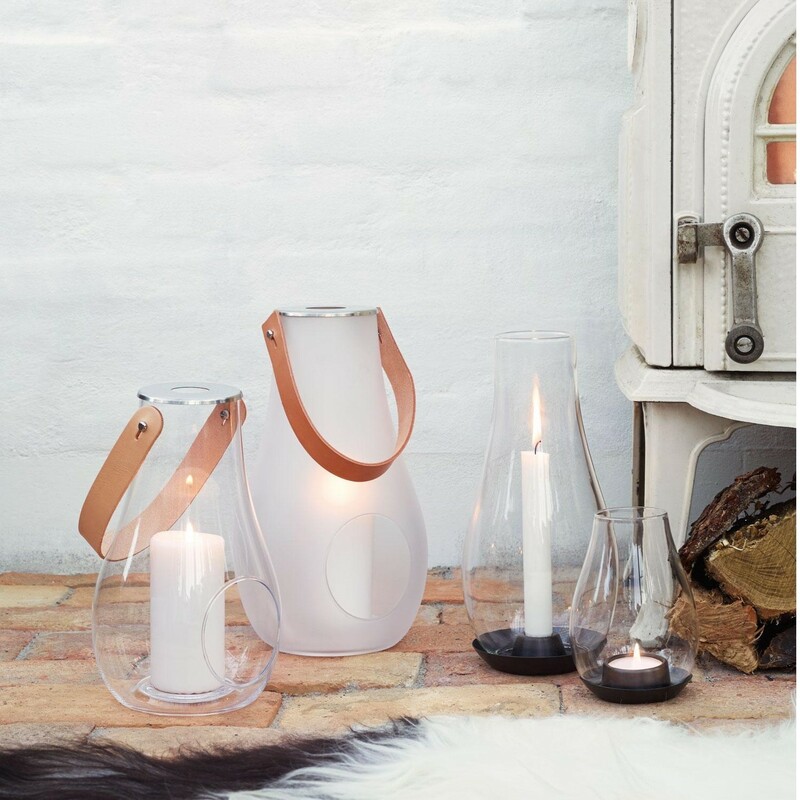 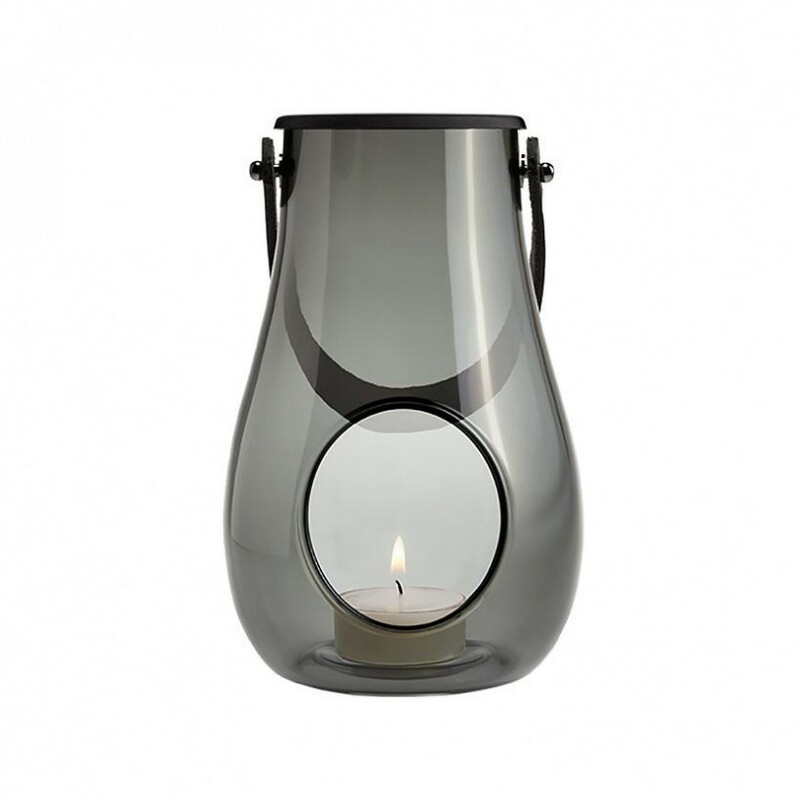 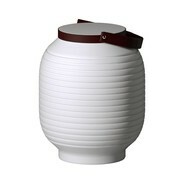 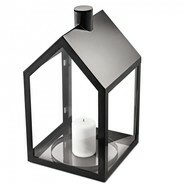 The Design with Light Lantern was designed in the year 2011 by Maria Berntsen for Holmegaard. 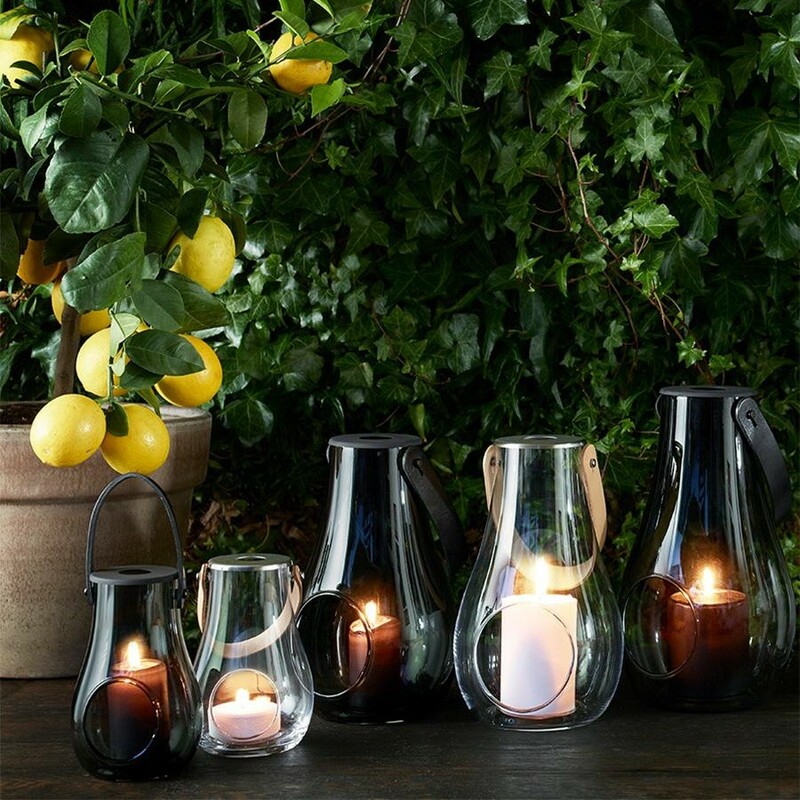 Candles and lanterns create a beautiful atmosphere under the open sky in the summer. 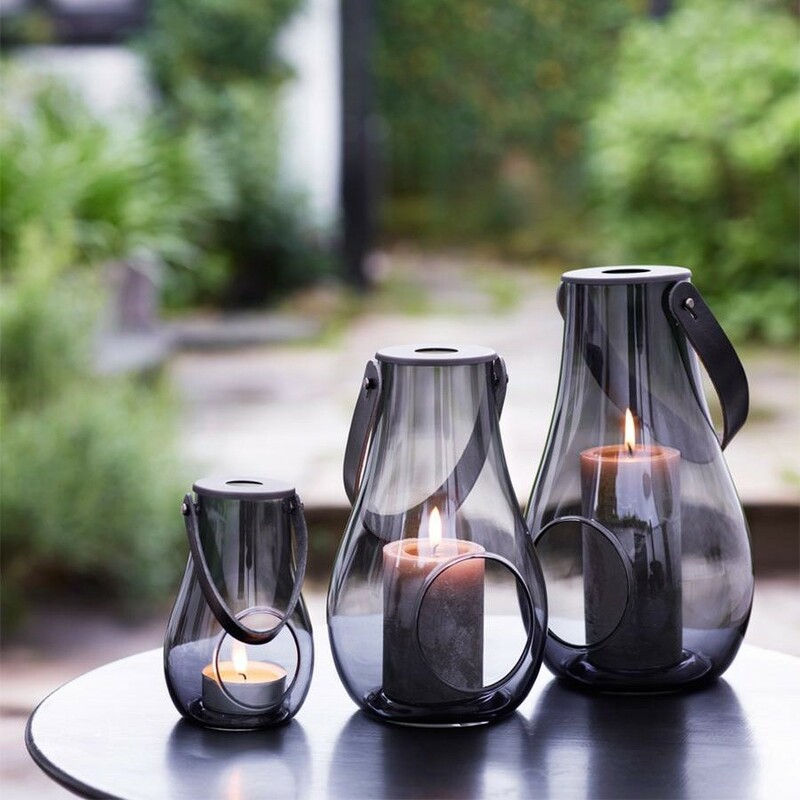 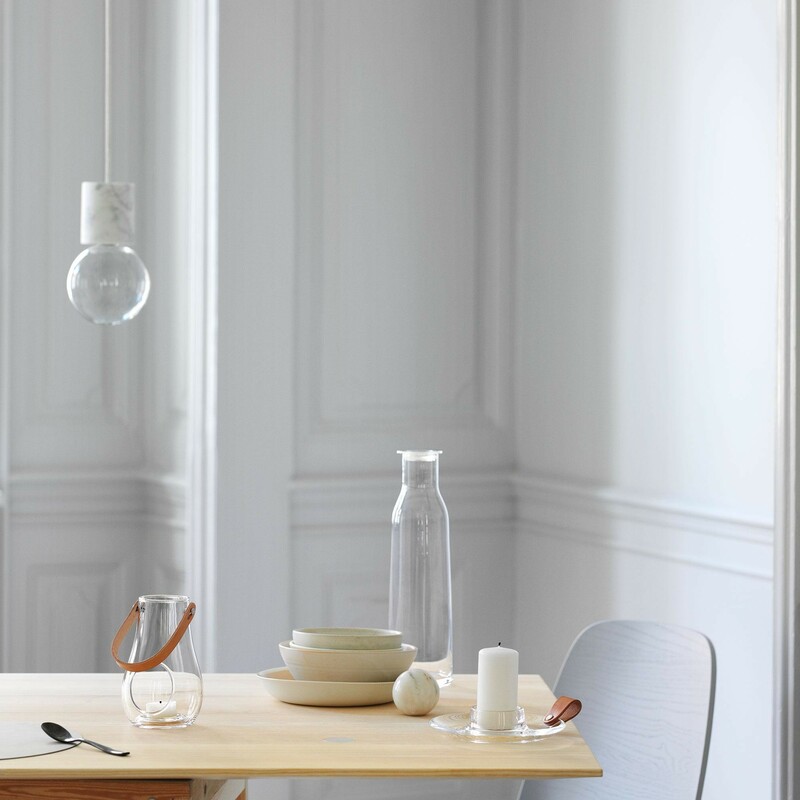 The best thing about Design with Light: The lantern by Holmegaard is so fine and delicately designed that its classy look also enhances every living or dining room indoors for cosiness during the cold seasons! 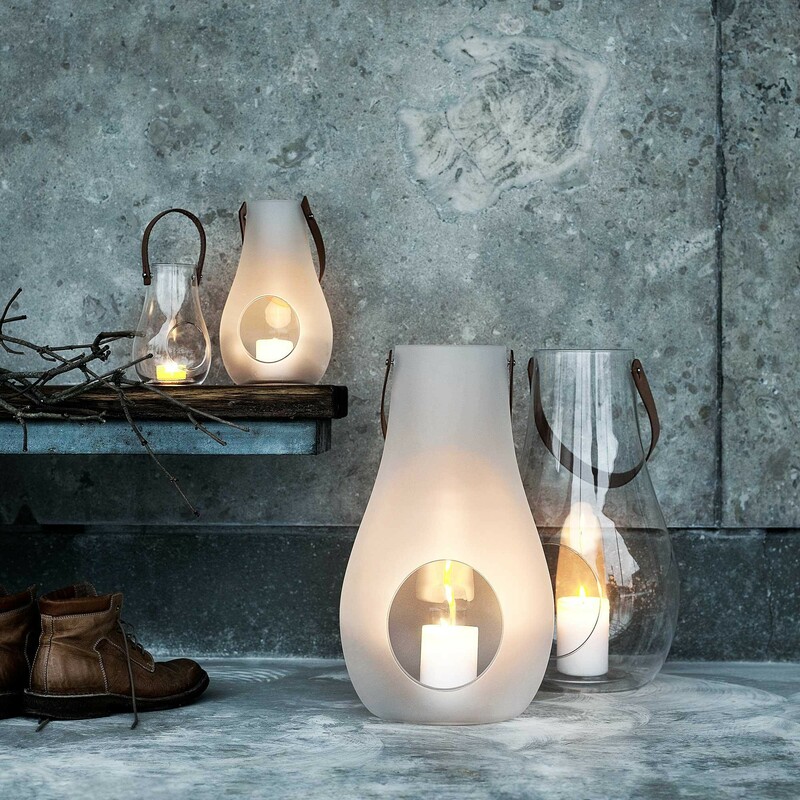 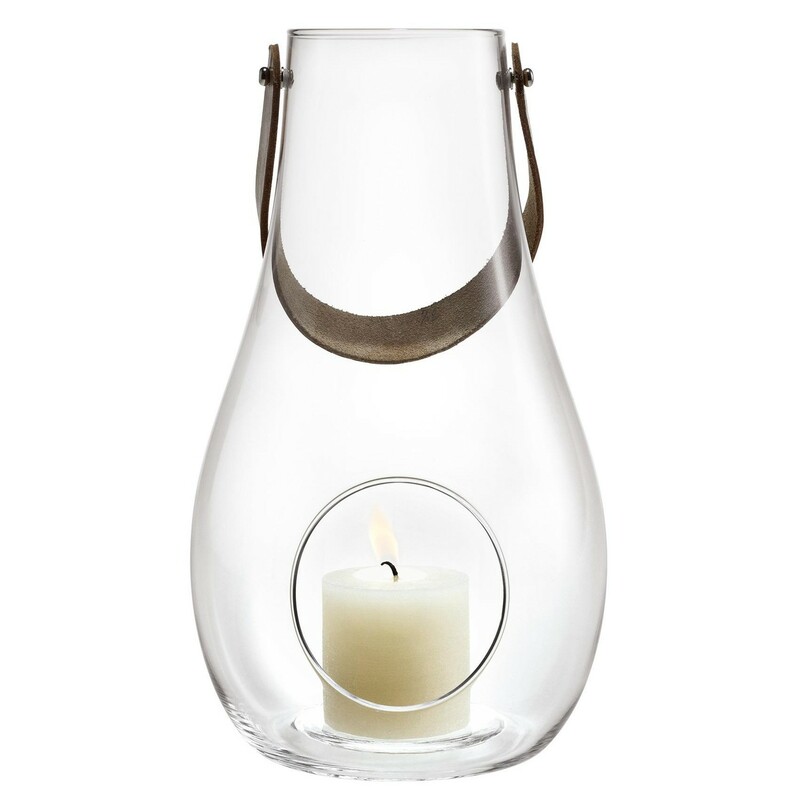 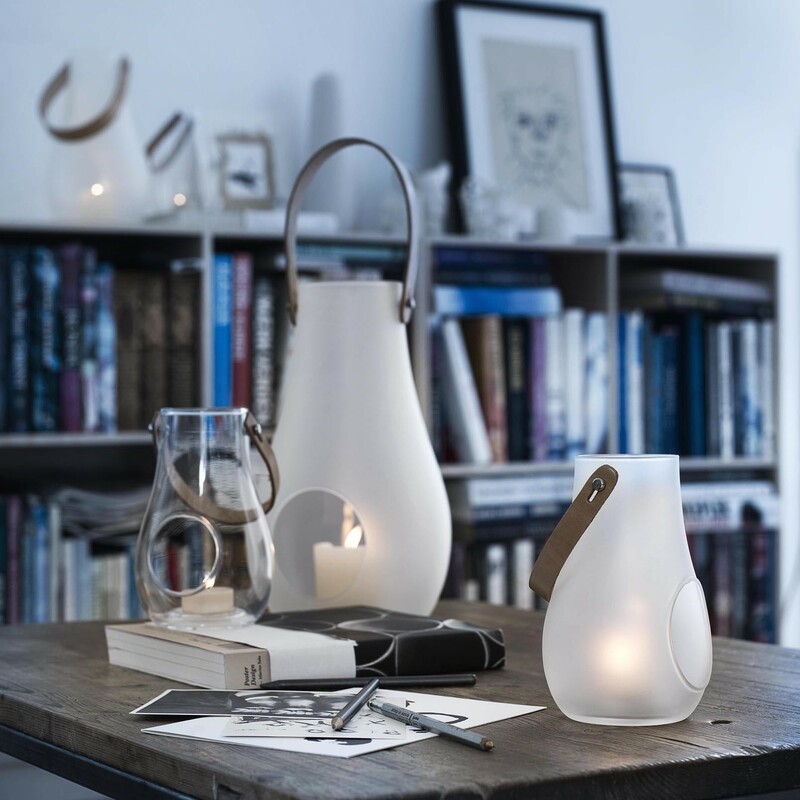 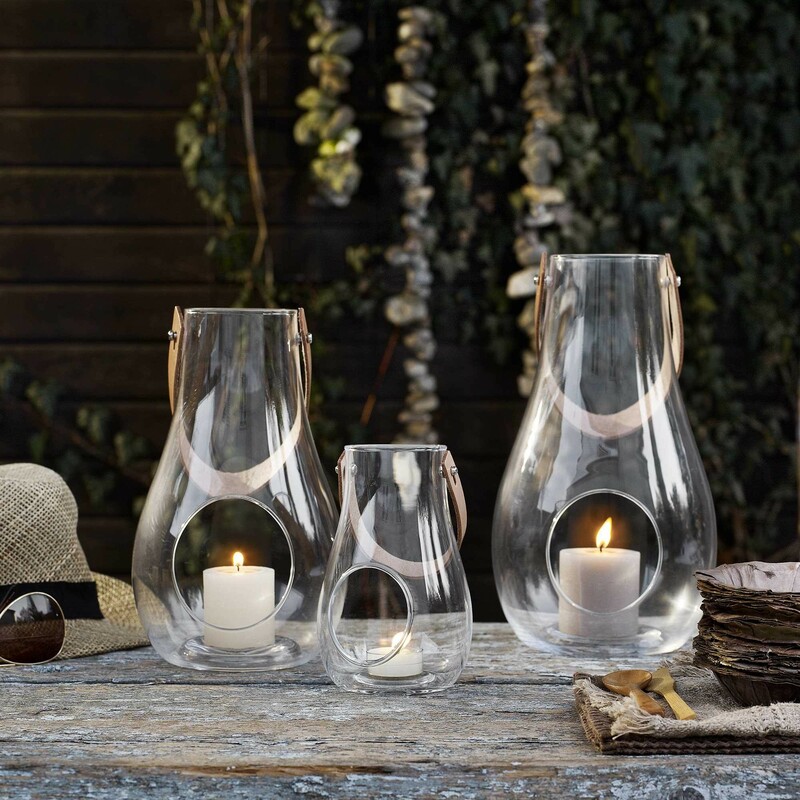 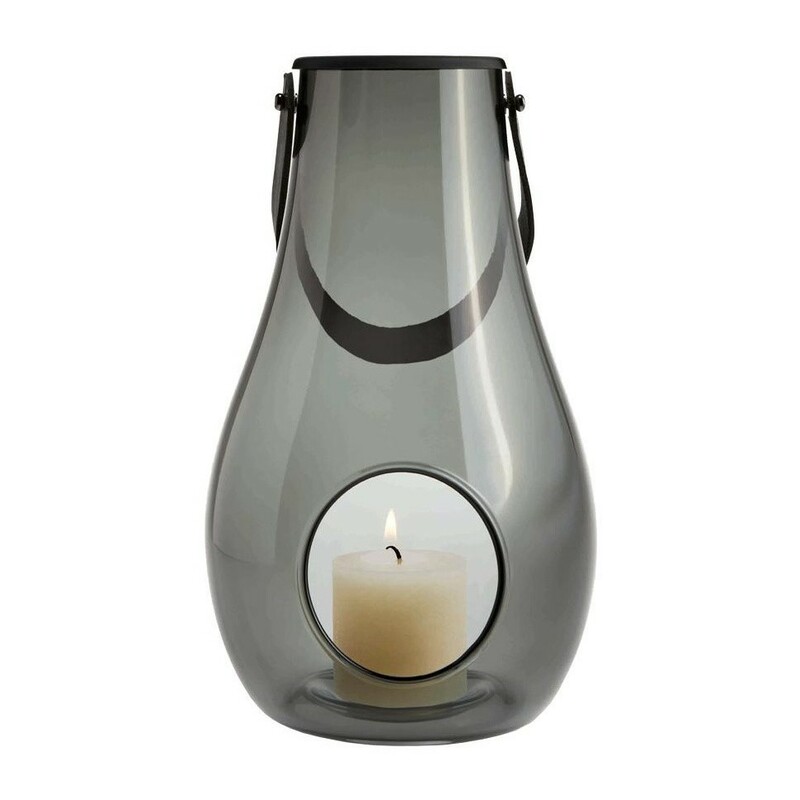 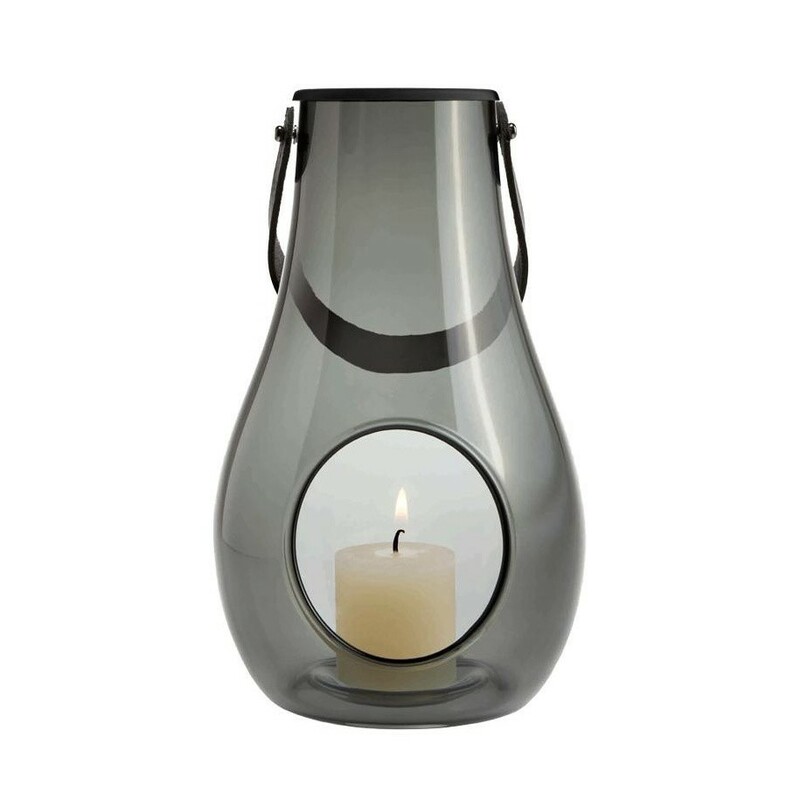 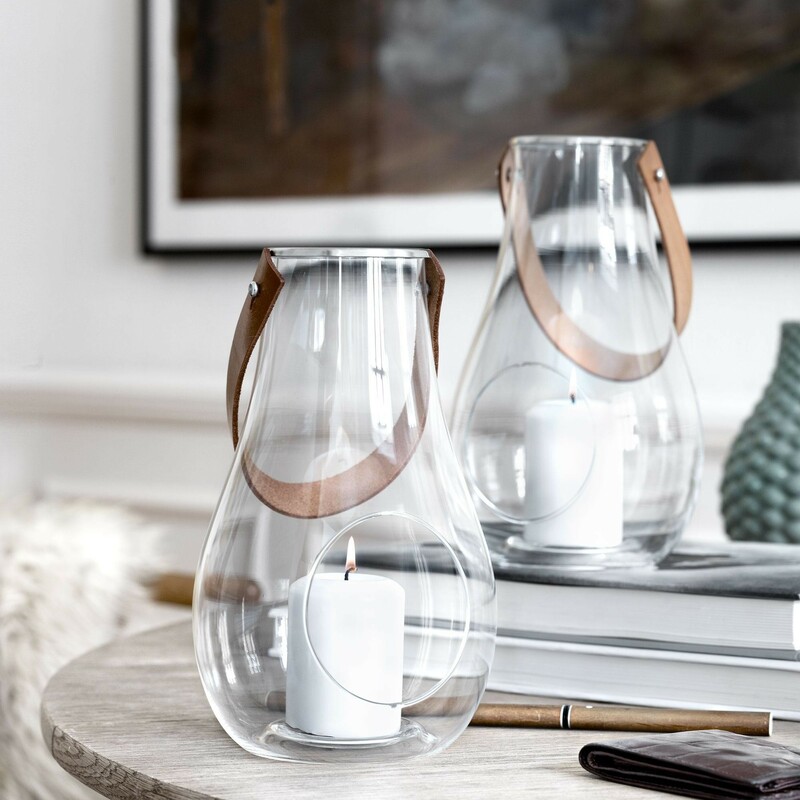 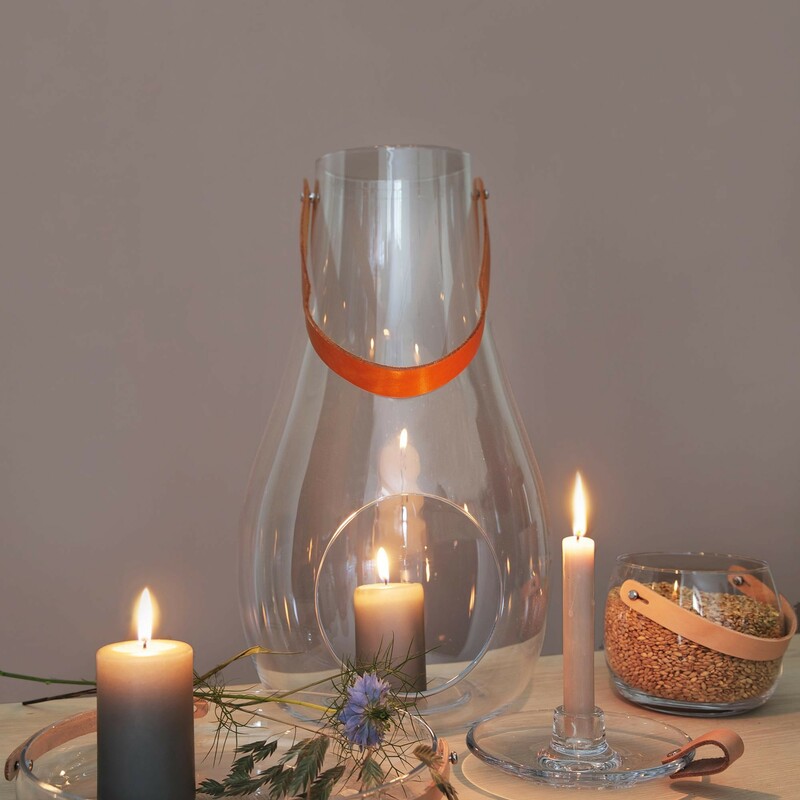 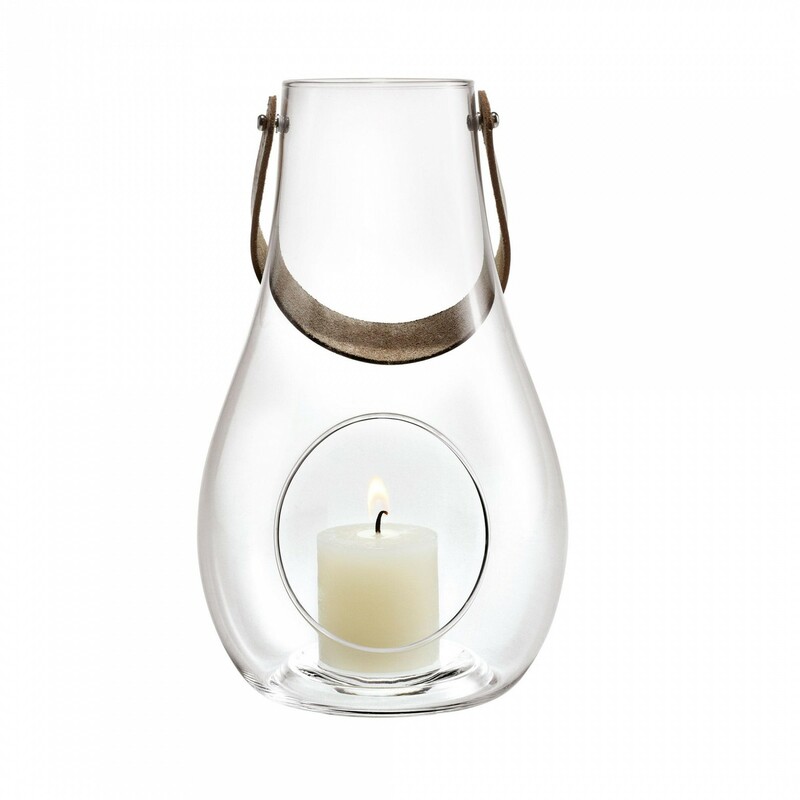 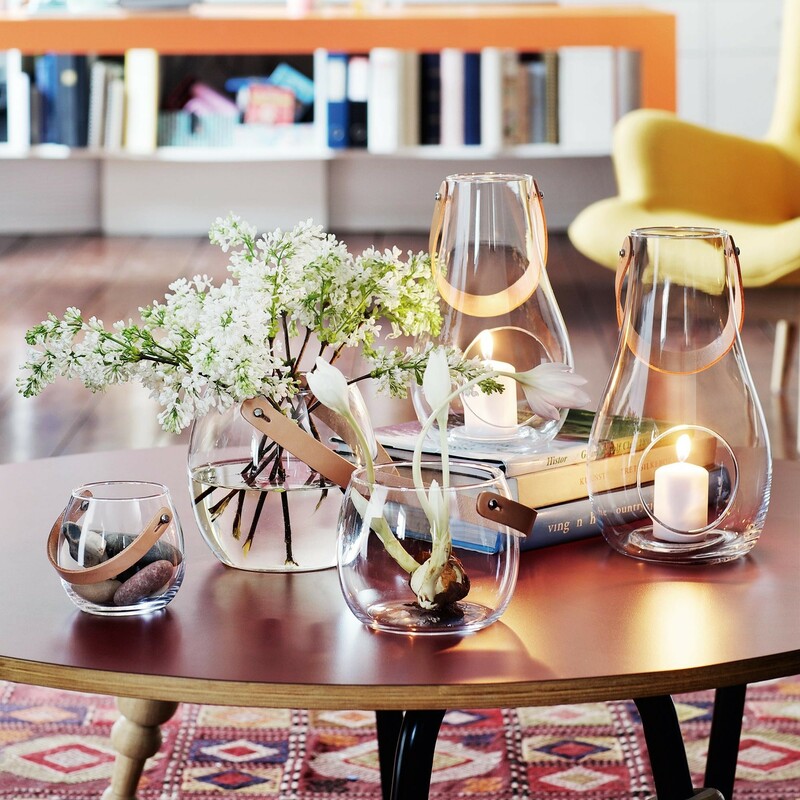 The Design with Light Lantern is made up of a drop-shaped body with a hole in its bulbous middle for a candle or tea light. 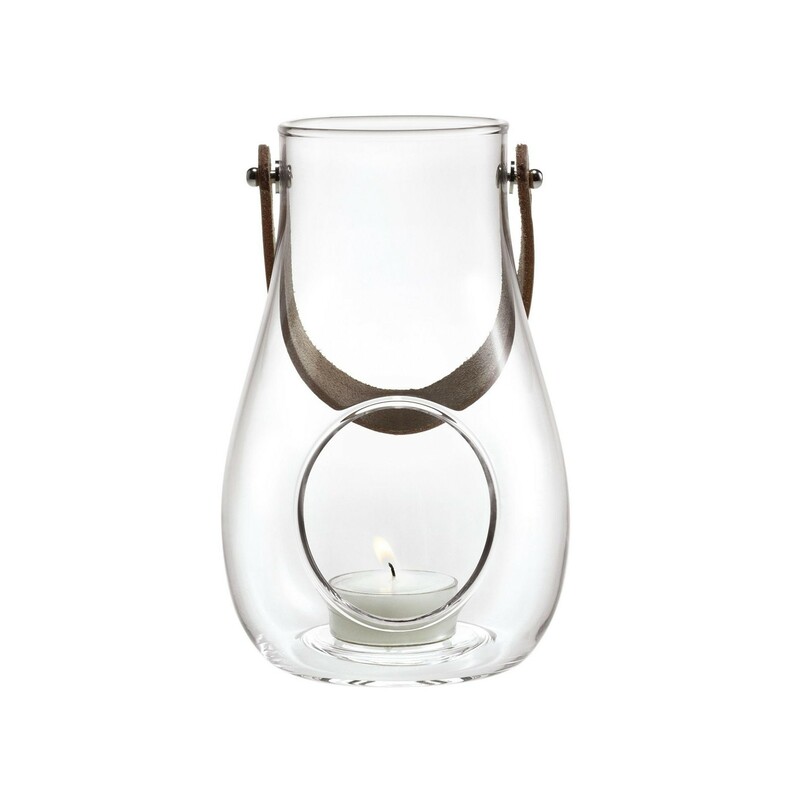 This is not only a functional detail, but also gives the Design with Light Lantern its characteristic look. 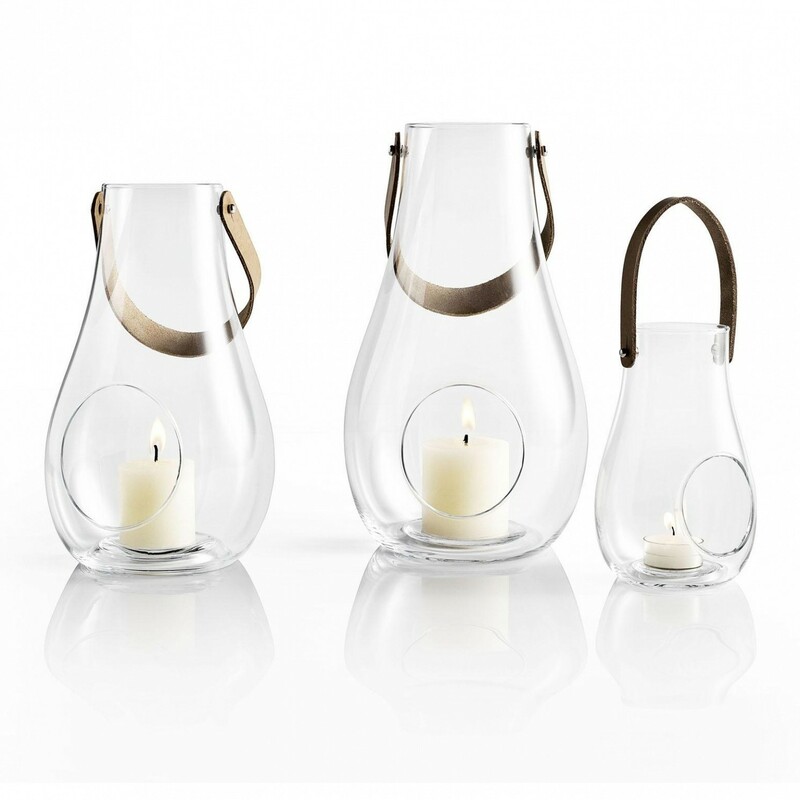 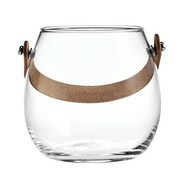 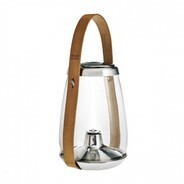 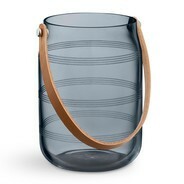 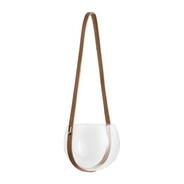 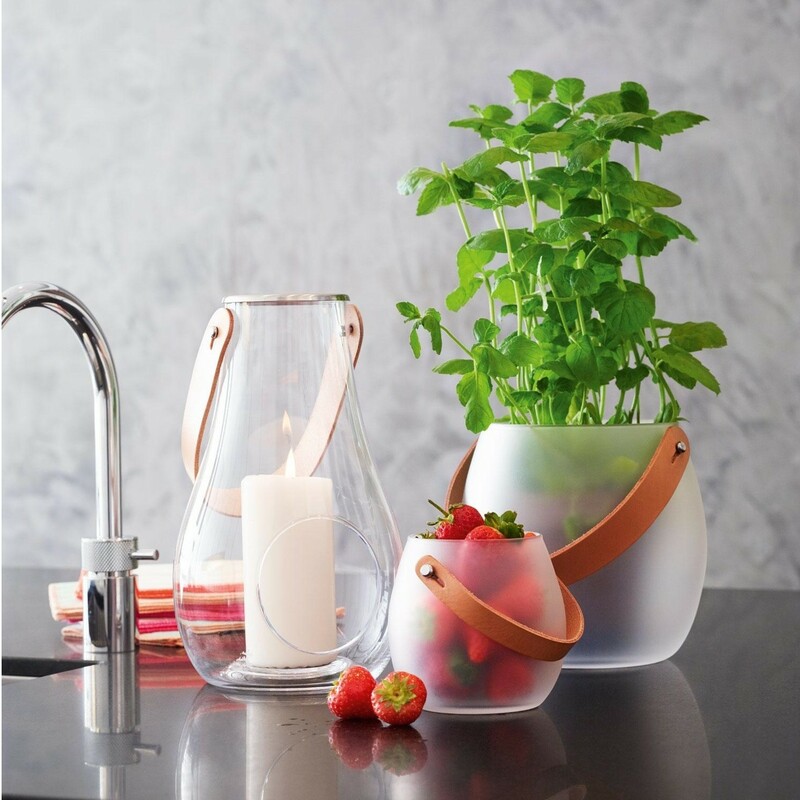 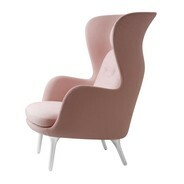 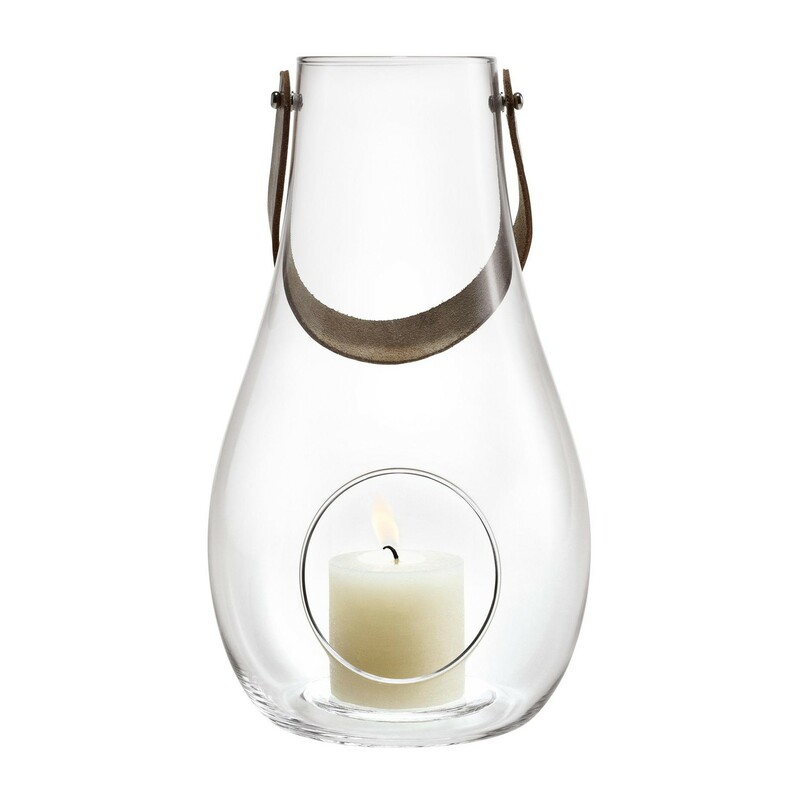 Especially beautiful: The handle made of robust leather, which creates a decorative contrast to the delicate glass. 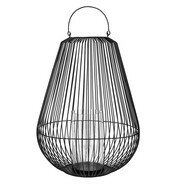 The Design with Light Lantern is available in four different sizes, please see the "available product types" for details. 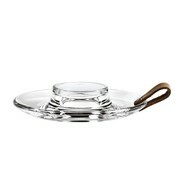 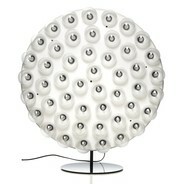 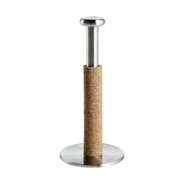 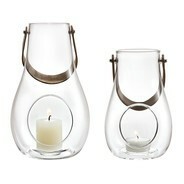 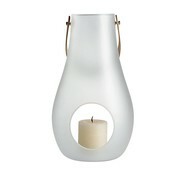 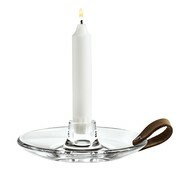 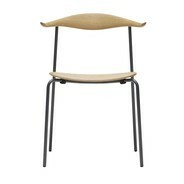 Additionally, we also carry Design with Light in a satinated version, found in the "similar products".